Home News Water Reuse Europe launch! 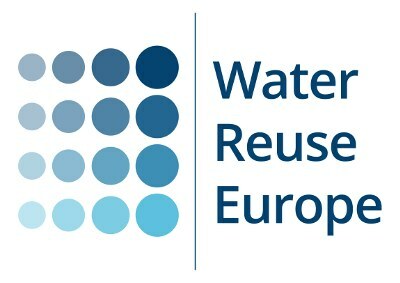 A new industry association for the European water reuse sector, Water Reuse Europe, has been formally launched today. The association offers a range of services for both commercial companies and public organisations involved in water reuse scheme design, operation, and regulation. Water reuse is playing an increasingly important role in the pursuit of sustainable water management and recent years have seen significant growth in the number of industrial, agricultural, and municipal reuse schemes across Europe. However, the sector has lacked a single unifying body through which it can share best practice and develop a single voice on important issues. Water Reuse Europe provides the collective space within which these ambitions can be achieved. Its mission is to create a collective identity for the European water reuse sector and promote an innovative and dynamic industry. Being a member of Water Reuse Europe will enable companies, public bodies, trade associations and research institutions to take advantage of stimulating opportunities for knowledge exchange, advocacy, and education. It will provide organisations with access to news and information about the latest developments in the reuse market and enable them to take advantage of specialist conferences, seminars, and workshops. Other advantages of being a member of Water Reuse Europe include access to the members directory, the abstracts library with more than 3000 entries, up to date news from the European and global water reuse sectors, technical reports and a database of water reuse schemes.